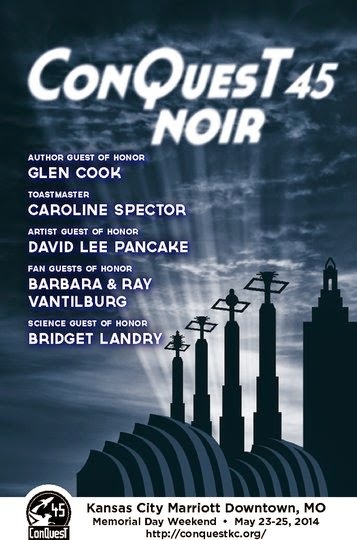 Busy week for science fiction and fantasy lovers in KCMO! 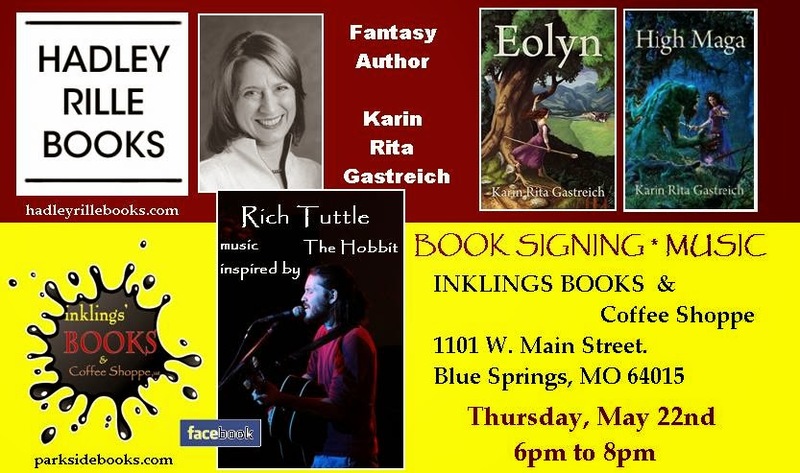 I will be at the brand new INKLINGS BOOKS & COFFEE SHOP this Thursday, May 22, starting at 6pm. Join us for an evening of pure imagination with fellow author M.C. Chambers and musician Rich Tuttle, singing songs inspired by Tolkien. Copies of Eolyn and High Maga will be available for purchase and signing. I’ve got a lot to prepare, so that’s it for my post this week. I do hope to see you in the coming days though, whether at Inklings or ConQuesT or both. Let’s welcome the summer in style! Egads, I wish I were coming! Sounds like some interesting panels.